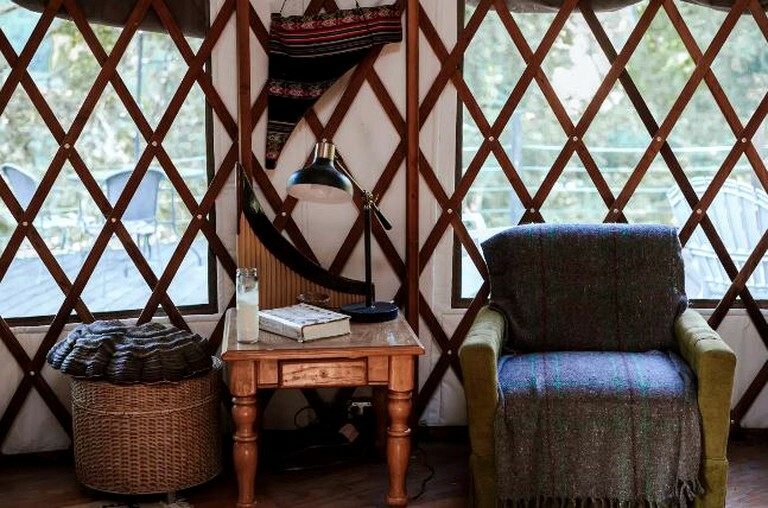 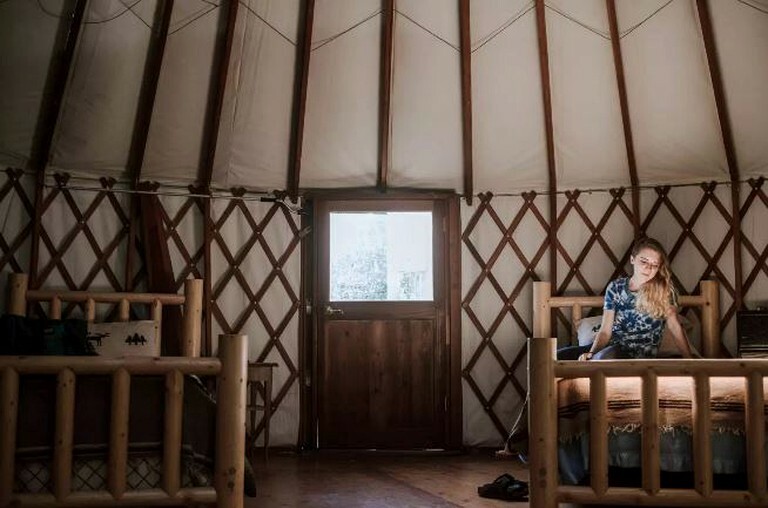 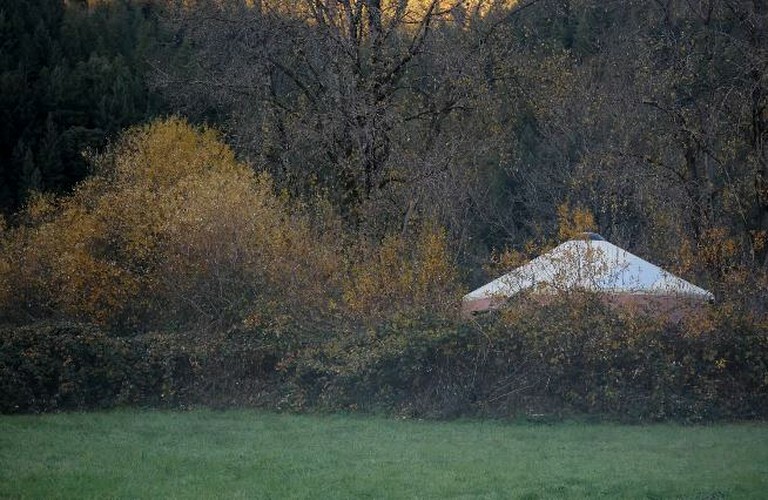 This gorgeous yurt rental can be found on the banks of the Klamath River, California, and is ideal for a glamping vacation. 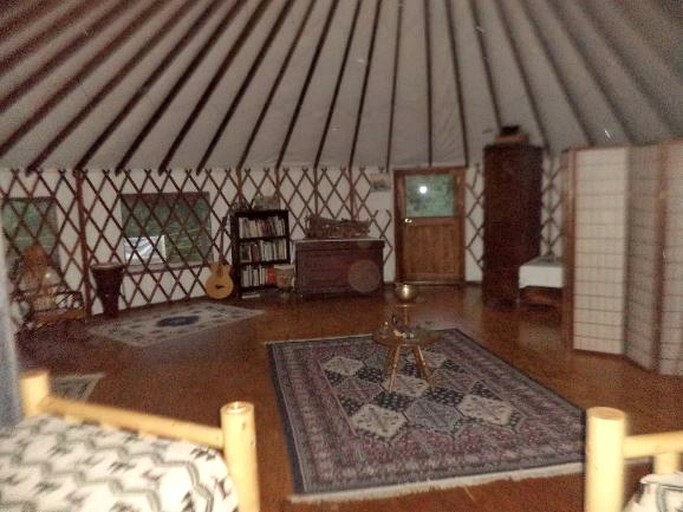 It is very spacious thanks to its two floors and can sleep a total of six guests. 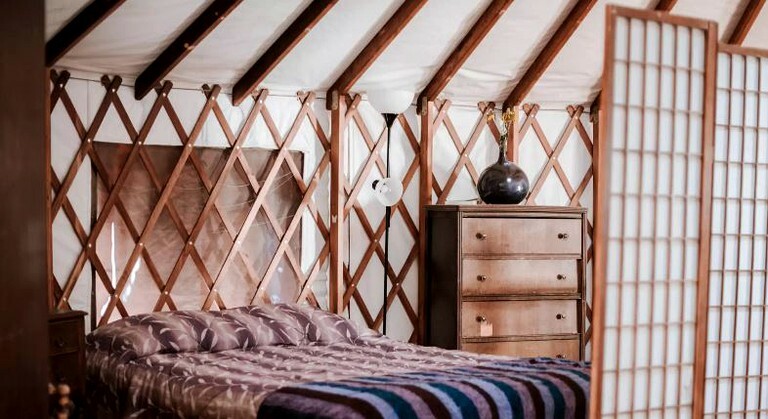 There are a variety of bed options in the yurt to suit the needs of the group and all of the beds are dressed in high-quality linens to ensure that guests sleep well. 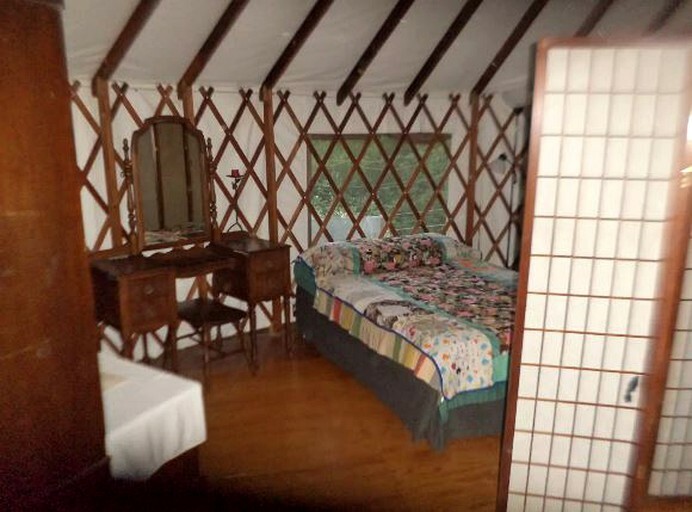 This yurt comes with four beds: one king-sized best, one bunk bed, and a full sized futon sofa bed that can sleep two people. 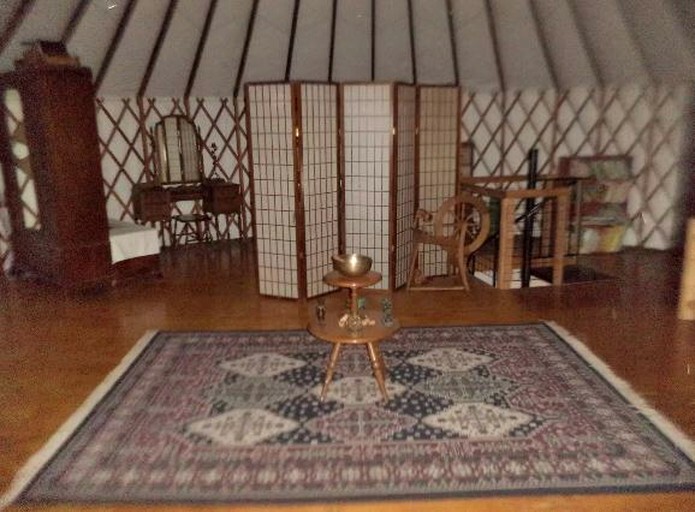 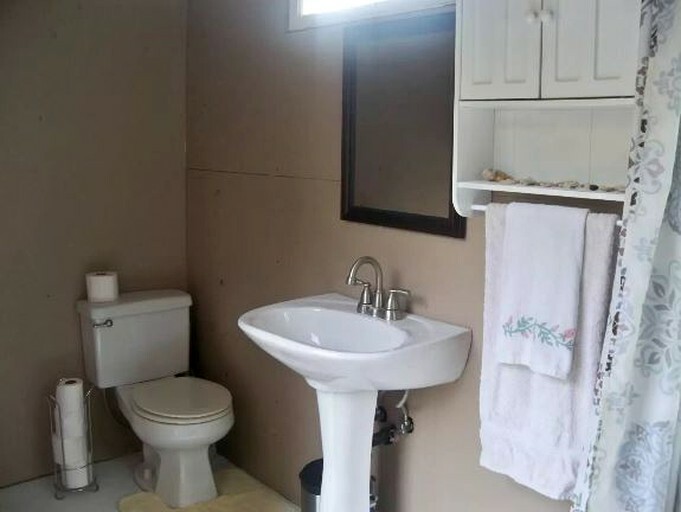 The yurt also has a full bathroom that offers plenty of privacy. 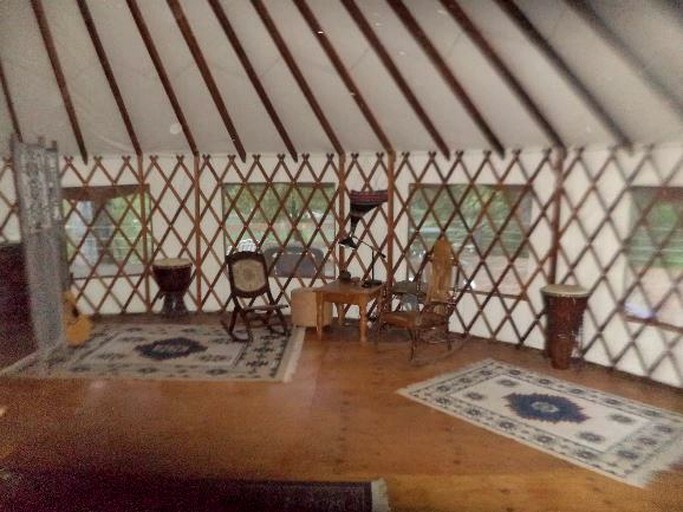 Glampers will love the cozy feel of their yurt. 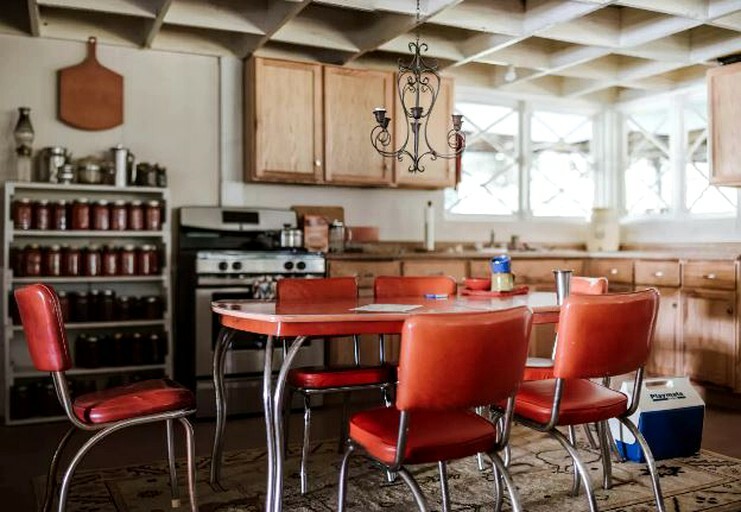 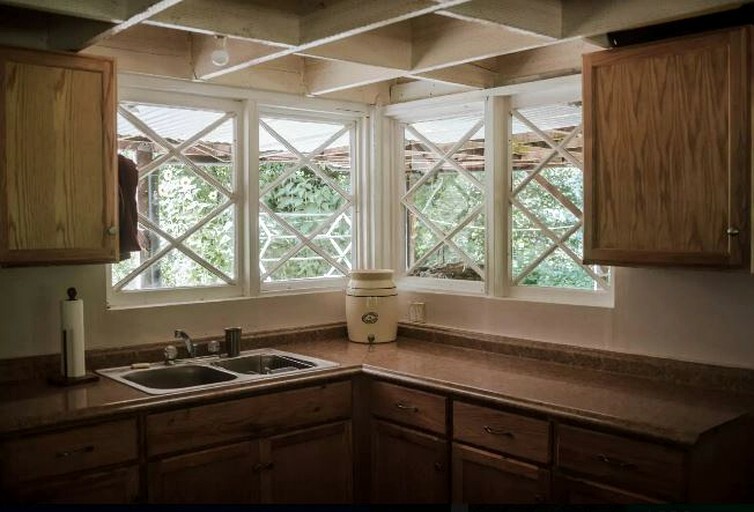 The hosts supply all linens and towels and there is also a full kitchen. 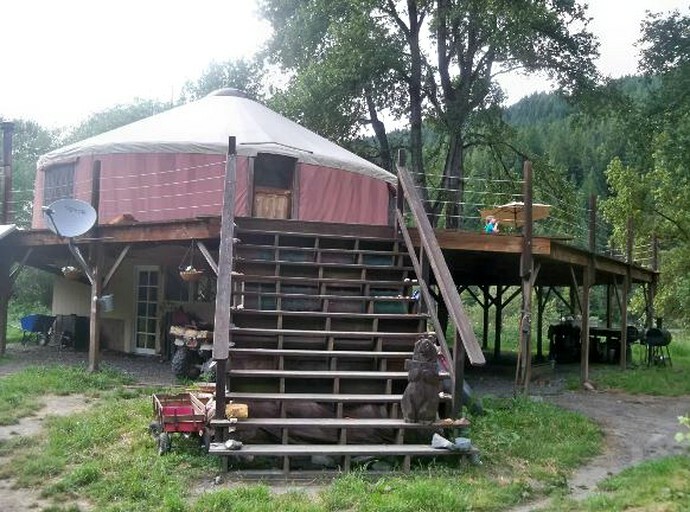 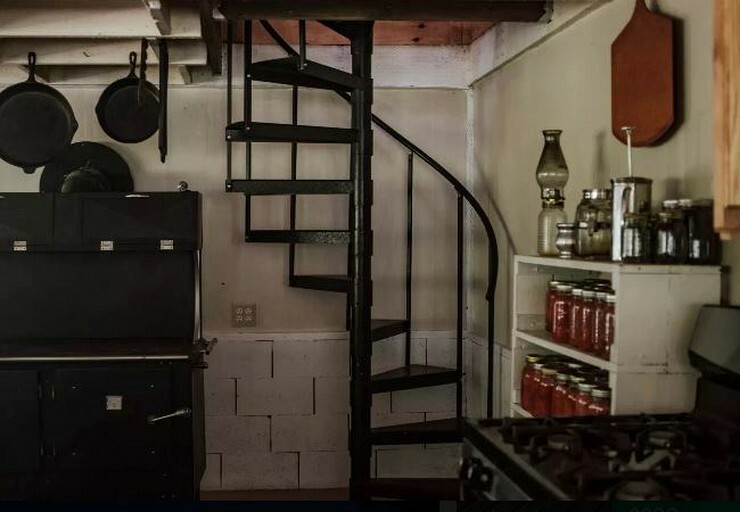 However, guests should note that this property is off-the-grid and there is no Wi-Fi or cell service, but do have solar electricity in the yurt that powers a refrigerator and lights. 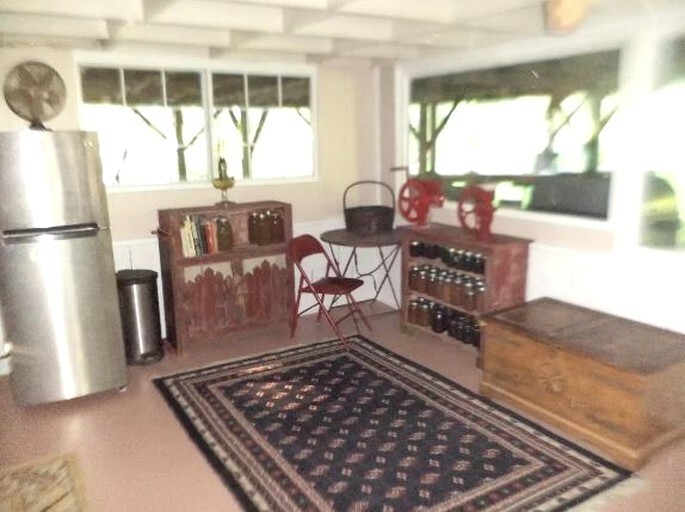 The hosts run various workshops that guests can enjoy for an additional fee. 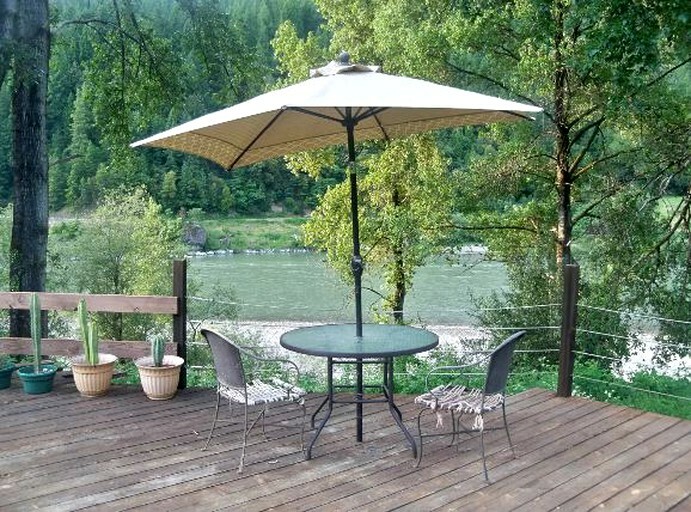 Glampers interested should inquire with the hosts. 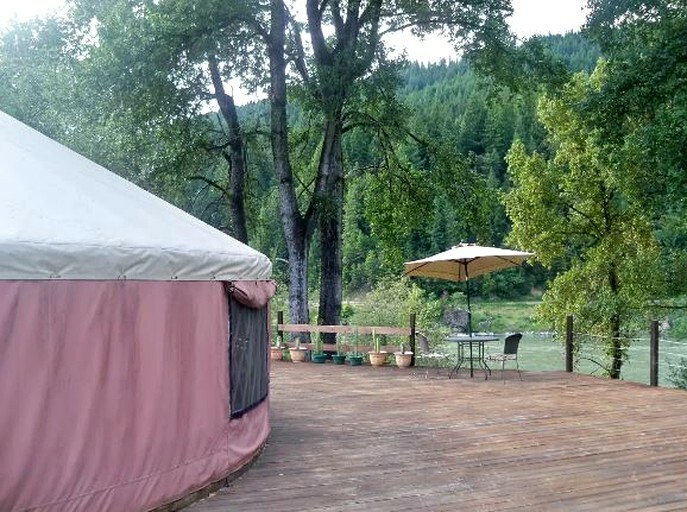 For guests hoping to enjoy a riverfront getaway, this unique yurt is the perfect option. 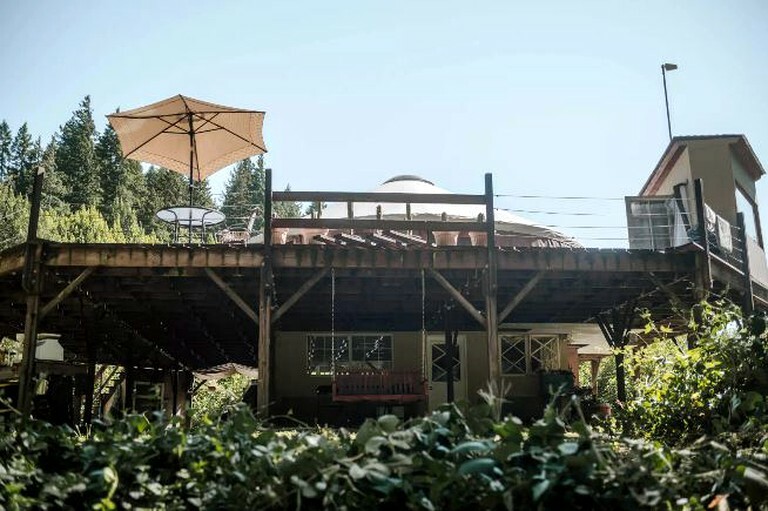 It can be discovered nestled in a Redwood forest, perched over a mountain looking down into the Klamath River Valley, California. 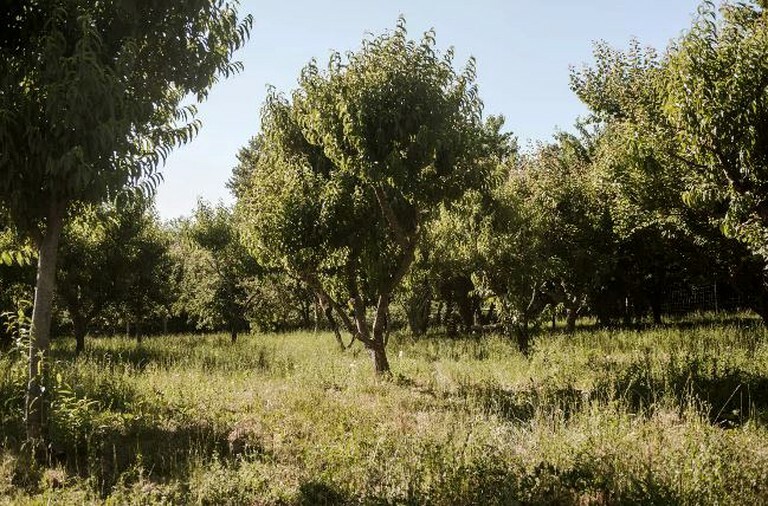 Guests will find themselves surrounded by a stunning five-acre meadow and also a vibrant orchard that is home to over 50 fruit trees. 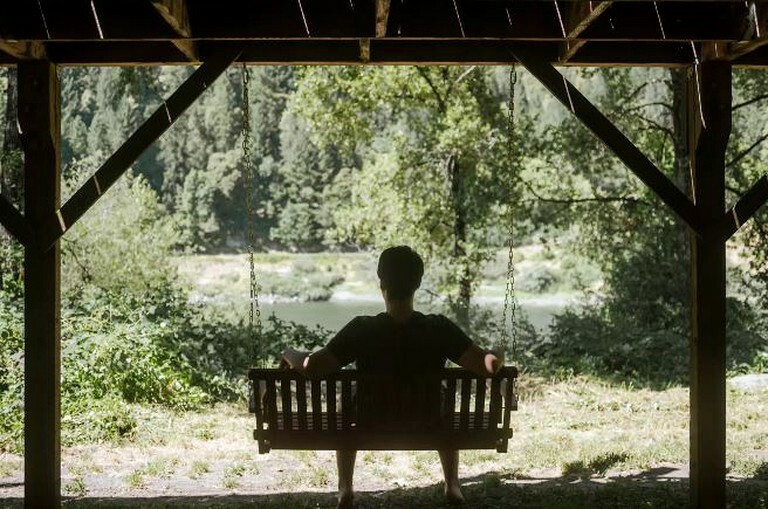 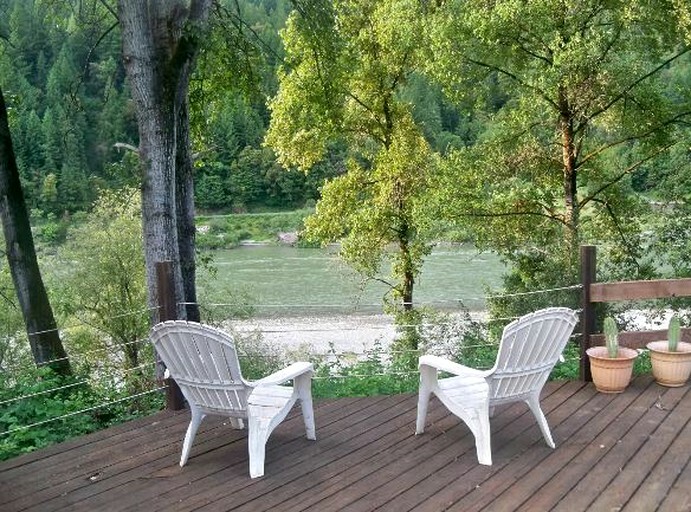 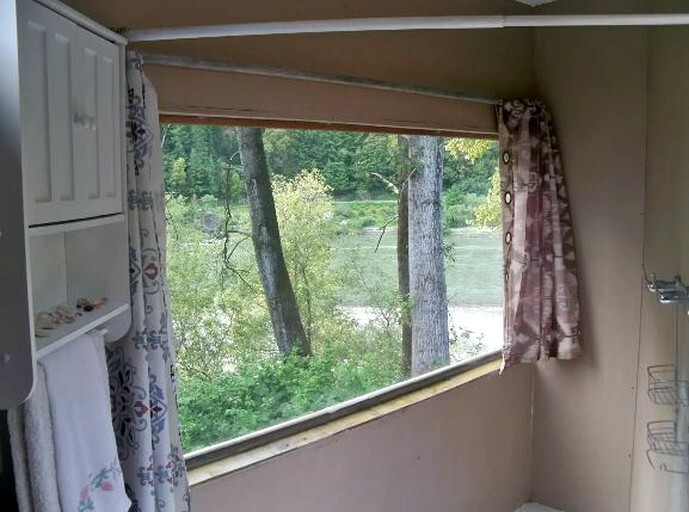 Thanks to the setting of the yurt right on the Klamath River on the Yurok reservation, guests will be able to enjoy plenty of exciting water activities during their stay. 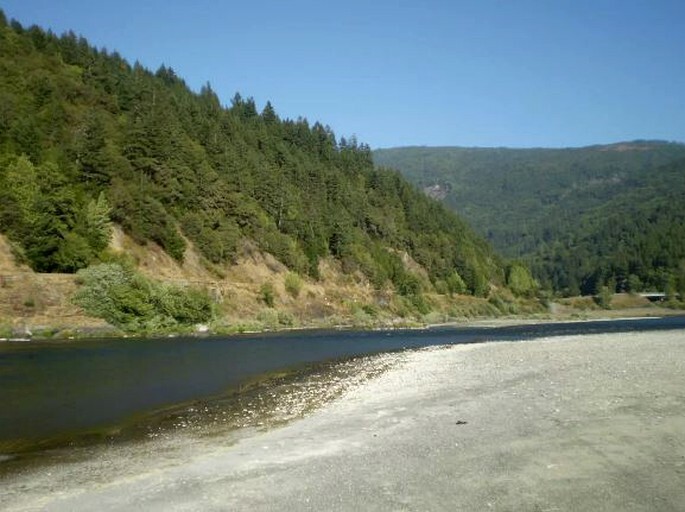 There are mostly pebble beaches but guests will find a sandy spot upstream where they can enjoy sunbathing. 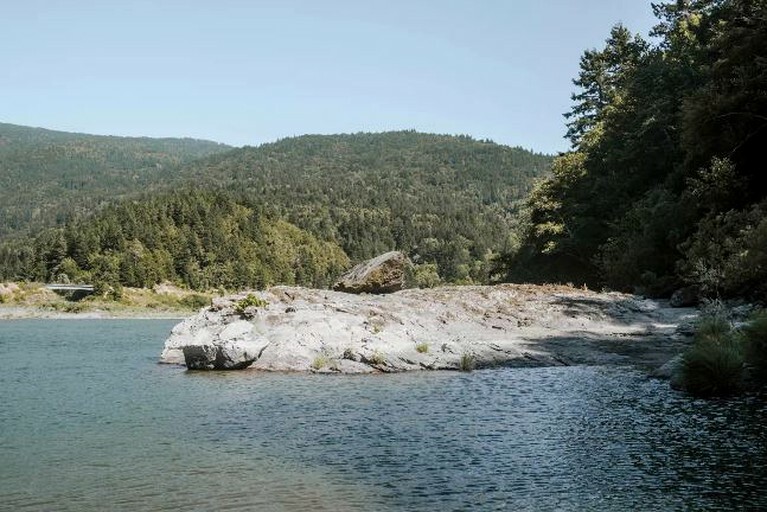 The property also has a large rock where guests can enjoy diving into the warm water during the summer months. 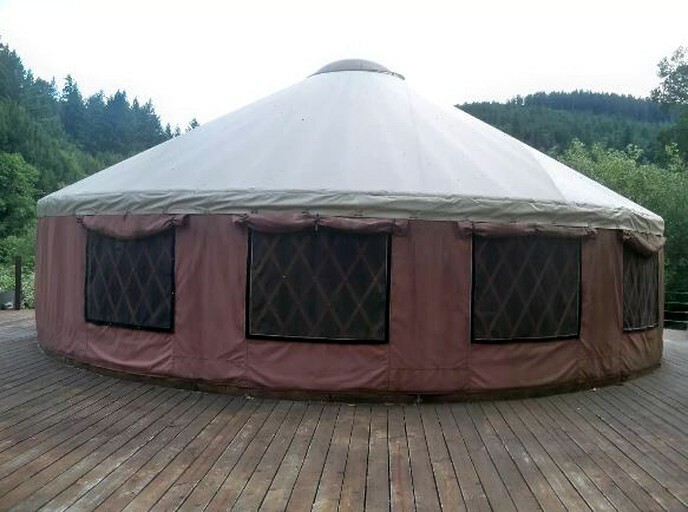 Guests will certainly want to take advantage of the riverfront setting of this yurt during their vacation. 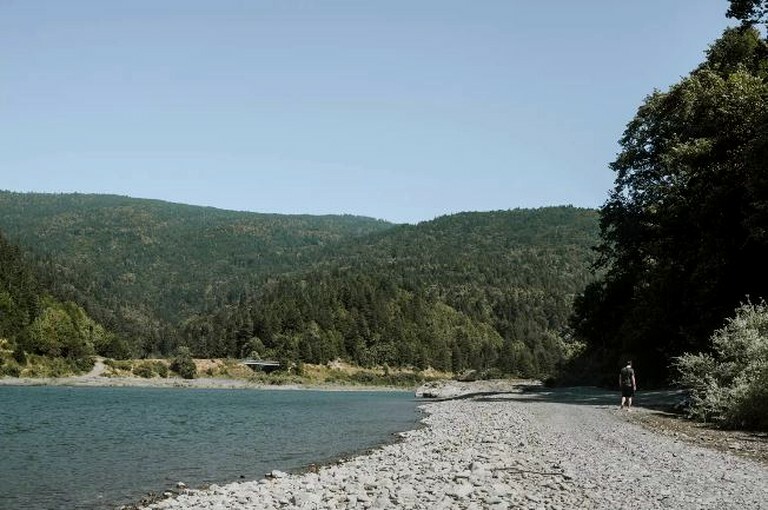 It is perfect for fishing or simply a hike along the banks, which offers guests the chance to get to know the unique wildlife found in this area. 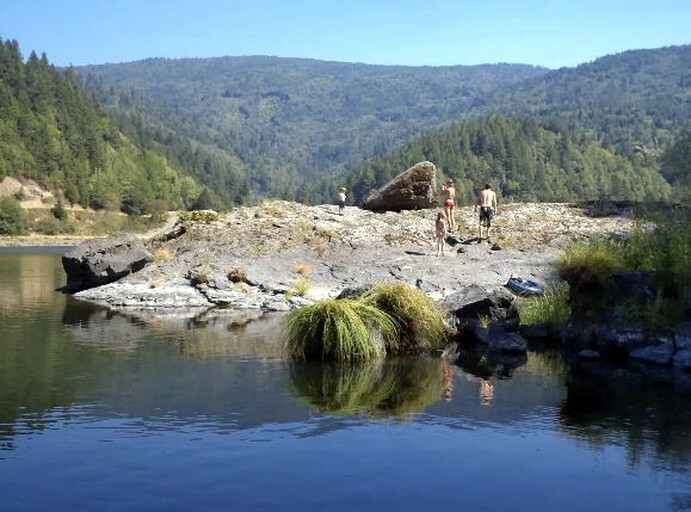 In addition, guests can cool off with a dip during the summer months and also enjoy jumping and diving off the large rock in the property's river cove. 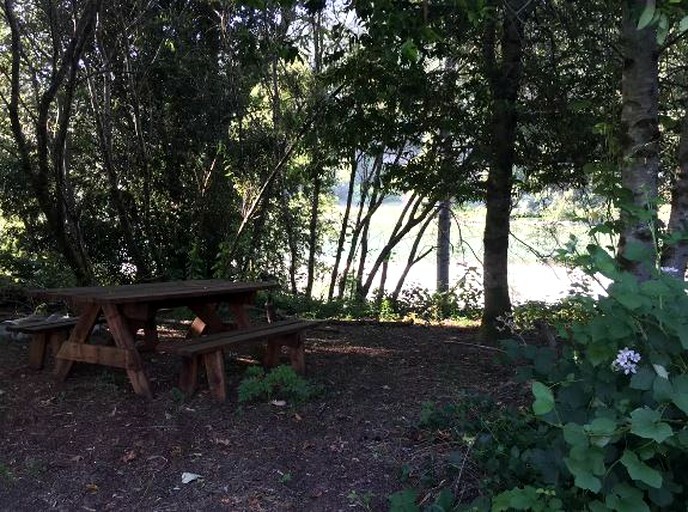 Cycling is also a great way to explore the area and guests should be sure to pack a picnic and their cameras so that they can make the most of the stunning mountain and valley views on offer. 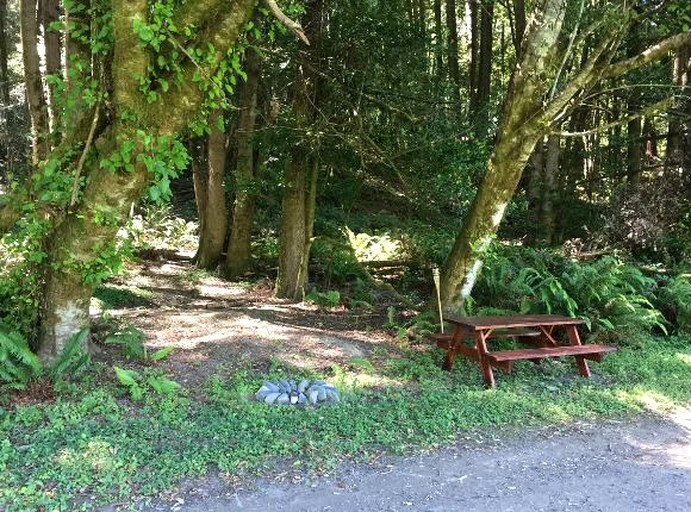 If they are lucky, guests may even spot bears during their stay. 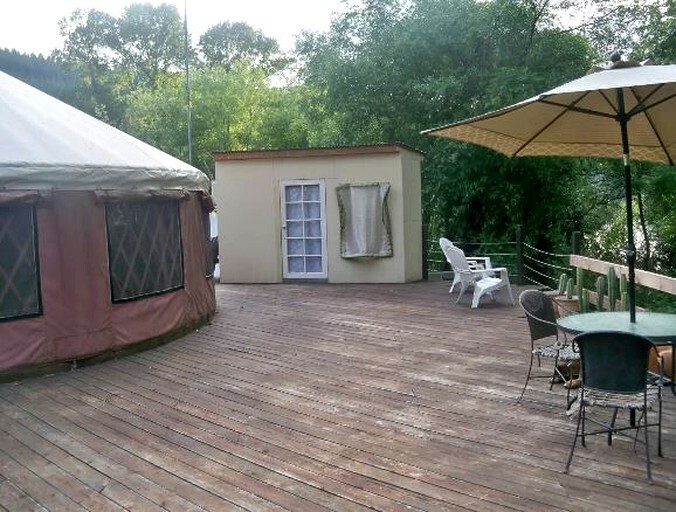 Glampers can take part in the various activities organized by the hosts to ensure they get the most out of their vacation.